Bio Oil Review – 6 cm Scar to 4 cm After 8 Weeks? Bio Oil review: learn about the ingredients of Bio Oil, how to use it, reports of side effects, customer testimonials, comparisons with other brands and where to buy it. Bio Oil is a very popular skincare product that has many uses. It bears the name Multiuse Skincare Oil because you truly can use it to treat various skin conditions and problems. However, in this review, we will evaluate the benefits of Bio Oil for scar treatment. This oil has received more than two hundred skincare awards. It was launched in 2002 and since then has risen in popularity due to the effectiveness and quality of the product. 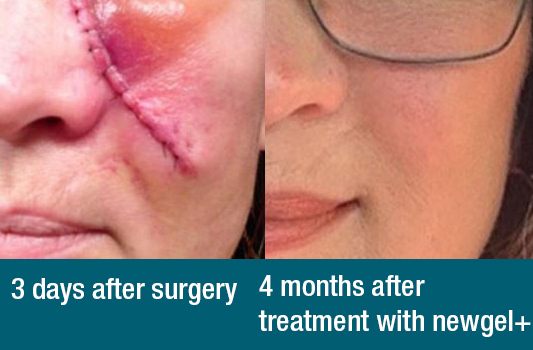 It can be used to treat both new scars and old scars, but it is more effective on new scars than old scars. This oil is used mostly to treat stretch marks during and after pregnancy, and for treating acne scars and other types of scars. Bio Oil Review – Does it Work? How Does Bio Oil Compare? As you can see, this oil contains many types of oil in the ingredients. Calendula Oil helps to regenerate cells and reduces inflammation to treat damaged skin. Lavender Oil soothes the skin while Rosemary Oil protects the skin from harmful bacteria due to its antiseptic properties. Chamomile Oil soothes the skin too and also has anti-inflammatory properties to protect your skin. It also contains Vitamin A that helps to renew skin by promoting collagen formation and improving the skin’s tone. There is also Vitamin E that maintains skin health and protects it from skin damage and aging symptoms due to free radicals. Some of you may be concerned with the use of mineral oil in the ingredient. Mineral oil is known to clog pores and can cause breakouts if you have sensitive skin. However, Bio Oil contains PurCellin Oil that helps make the oil easily absorbed by the skin, making it soft and smooth. The directions say to use this oil twice daily for at least three months to start seeing results, but some users already see a difference within days or weeks after initial application. Though it is an oil, this product dries fast and doesn’t leave a greasy feeling on the skin. There is a light smell that may be disturbing for some people, but for most people, it is no bother. One important note about using this oil is to use it sparingly if you have oily skin. One or two drops should be enough for your trouble area. If you have dry skin, then you can use more oil for treatment. There are some reports of side effects that people experience after using Bio Oil. Most of the side effects are due to an allergic reaction from the ingredients in the oil. The common side effects that people have include acne breakout, feeling itchy skin and irritation, skin rash, and other issues that could be caused by a sensitive immune system. You can apply a little bit of the oil on your skin and leave it for some time to see if you get any side effects. Even if you show side effects, it doesn’t mean you can’t use the product. Some users say the side effects disappeared once their skin became used to the oil. The effectiveness of Bio Oil as a scar treatment is very good. It’s popular for stretch mark treatment, but many people use it to treat scars too. Many before after testimonials from customers show that this oil is indeed a great product. Bio Oil gets high ratings and gives good results to people, but there are still some negative reviews made by customers. The negative reviews some customers give is that the oil did nothing for them even after using it as per the instructions. This problem happens for all the scar creams we review here. Some users feel the oil is heavy and oppressive on their skin and makes their face oily. Bio Oil and Mederma are the most popular scar treatments on our list. The difference is that Bio Oil is sold as a multipurpose product while Mederma is specifically made for treating scars. Mederma comes with sunscreen SPF 30. If you’re looking for a skincare product that you can use for many things, then Bio Oil is a good choice, but if your main concern right now is to treat a scar, then Mederma is a good fit. Bio Oil uses many oils in its ingredients. These oils may cause some side effects for people with oily and sensitive skin. Mederma uses onion extract in its ingredients that cause it to have an odor. Both Mederma and Bio Oil have similar side effects such as acne breakouts. The prices of both products are among the most affordable in our list. The pros and cons of both brands make it so that they get similar ratings from us. Therefore, you can choose either Bio Oil or Mederma for your scar treatment needs. You can read our Mederma review here for full information. There are three sizes of Bio Oil you can buy: 2 oz, 4.2 oz, and 6.7 oz. The price is quite cheap when compared with other scar treatment products we review. Bio Oil is available from online stores and their official website. There are some coupons that can reduce the cost of Bio Oil, but we haven’t tested any of them. Other great scar removal creams are listed here. Dermefface FX7 Review – Completely Flat Scars? Dermagist Acne Scar Cream Review – Get an 85% Improvement?